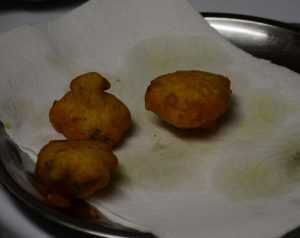 Among many fritters, this is my family’s new favorite. 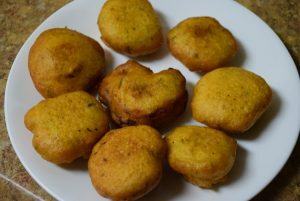 “Dhuska” is a Jharkhand pakoda which could be served in breakfast or supper with tea in the evening. 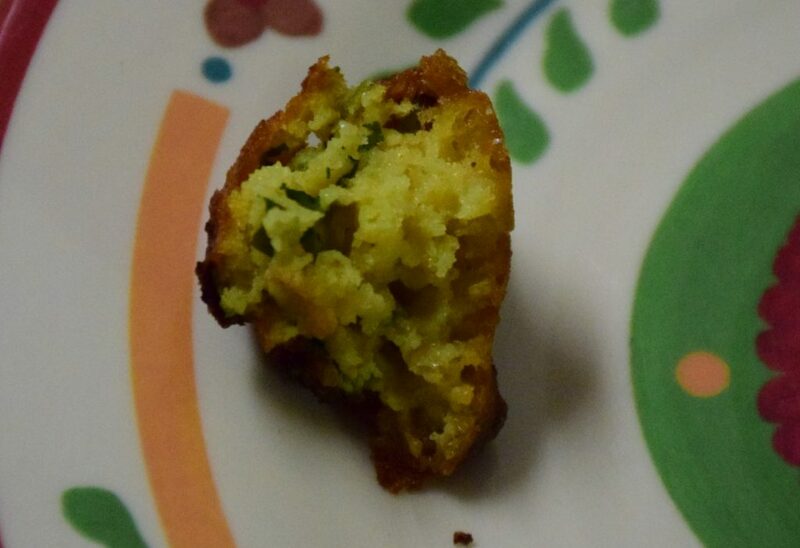 It is a deep fried rice and lentils’ batter. Thanks to the “Chef at large” group on facebook, I came to know of its popularity and tried out in my own way . 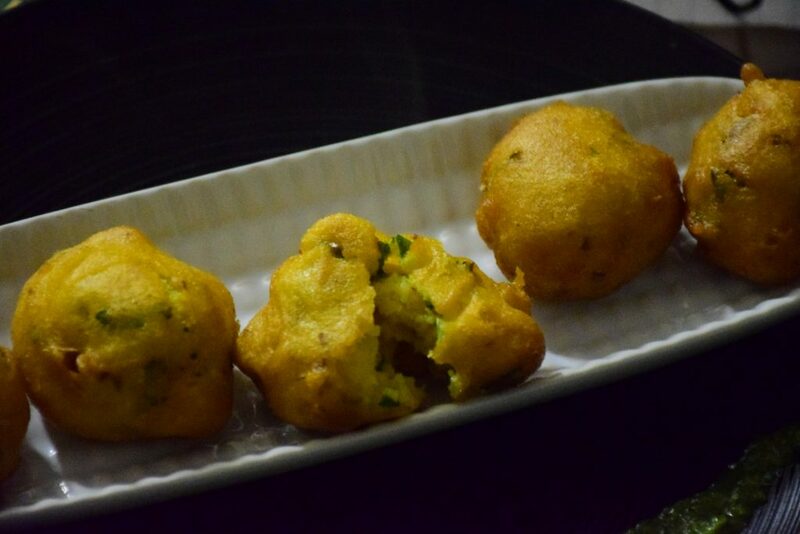 These fritters (pakode) are crispy on the outside and fluffy and soft from inside. 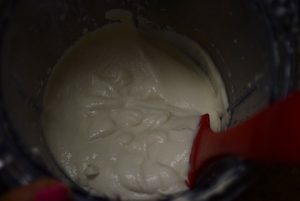 Also I didn’t use any baking soda or eno to fluff the batter. 1. Wash and soak the rice, chana dal and urad dal in separate bowls. I took 2:1:1 for Rice: Urad Dal: Chana Dal. But you may take 1:0.5:0.25 for Rice:Urad Dal:Chana Dal; i.e. 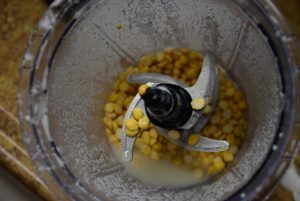 you may take 1/4 cup chana dal instead of 1/2 cup chana dal. Let them soak for 3 hrs. I soaked for 4 hrs. 2. 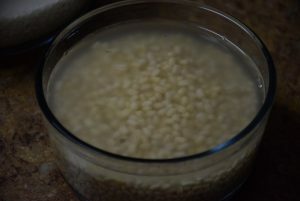 Take a grinding jar and drain the water of rice and dals. 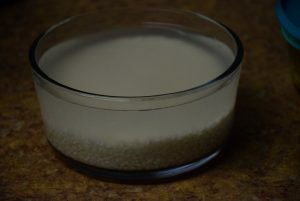 Add rice in the jar and ground it by adding little water to a smooth paste. Take it out in a bowl. 3. 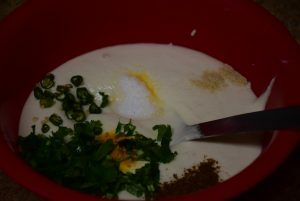 Similarly grind the chana dal to a smooth paste and add it in the rice paste. 4. 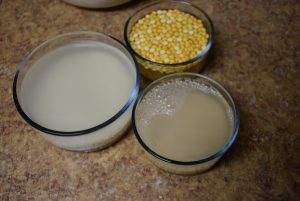 Next grind the urad dal and add it to the same mixture. 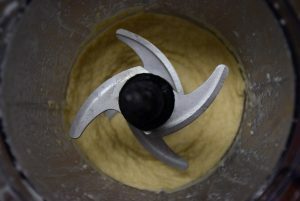 I have ground them separately for even grinding and mixing. 5. 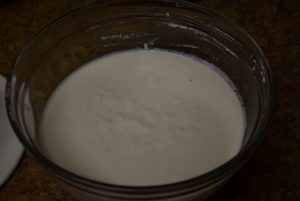 Mix all the batter ingredients and keep it covered in a warm place for 4 to 5 hrs. I kept for 5 hrs. Dry roast the cumin seeds once you see the batter fluffed up. 7. 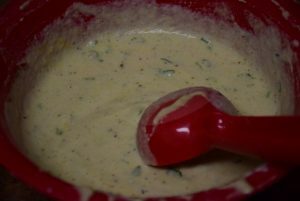 Now fill a scoop-full of batter and drop it gently in hot oil. Add as many as the wok could accomodate. Since they swell while frying ,so keep that space needed in mind. 8. 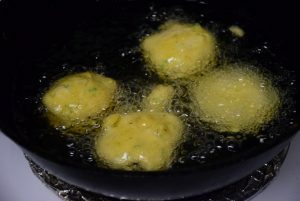 Let them fry till golden brown on all sides on medium heat. If you want them really crisp lower the heat and fry it for longer time. 9. 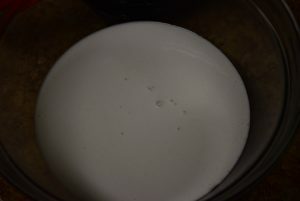 Once fried, take them out in a paper-towel lined plate. Serve with your favourite home-made chutney or tomato ketchup. I am sure your family would enjoy this warm surprise with morning tea on the weekends. 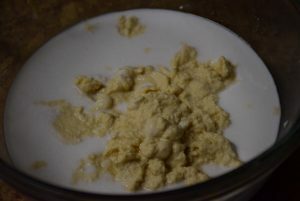 This simple yet never tried recipe awaits you . Try it and share your experiences with me. 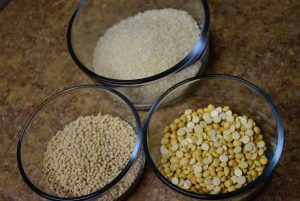 Wash and soak the rice, chana dal and urad dal in separate bowls. I took 2:1:1 for Rice: Urad Dal: Chana Dal. But you may take 1:0.5:0.25 for Rice:Urad Dal:Chana Dal; i.e. 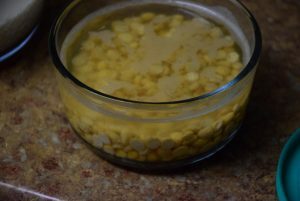 you may take 1/4 cup chana dal instead of 1/2 cup chana dal. Let them soak for 3 hrs. I soaked for 4 hrs. 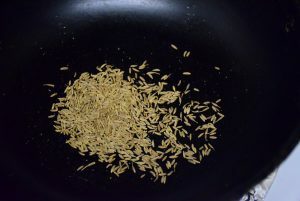 Take a grinding jar and drain the water of rice and dals. 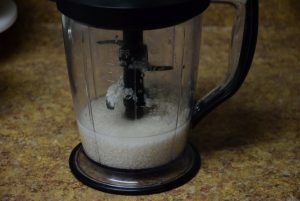 Add rice in the jar and ground it by adding little water to a smooth paste. Take it out in a bowl. 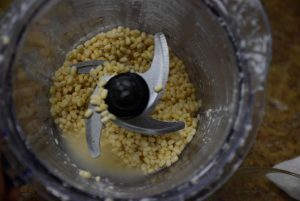 Similarly grind the chana dal to a smooth paste and add it in the rice paste. 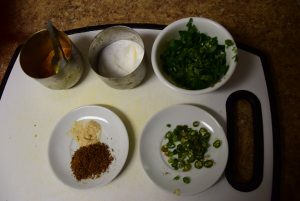 Next grind the urad dal and add it to the same mixture. I have ground them separately for even grinding and mixing. 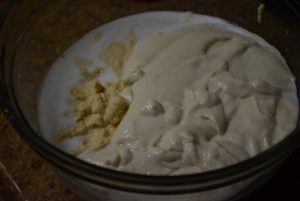 Mix all the batter ingredients and keep it covered in a warm place for 4 to 5 hrs. I kept for 5 hrs. 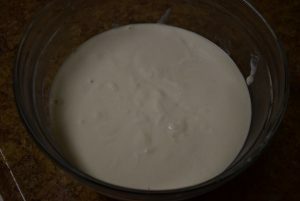 Now fill a scoop-full of batter and drop it gently in hot oil. Add as many as the wok could accomodate. Since they swell while frying ,so keep that space needed in mind. 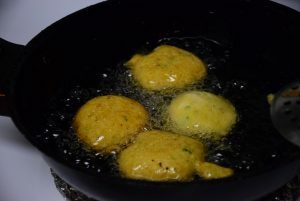 Let them fry till golden brown on all sides on medium heat. If you want them really crisp lower the heat and fry it for longer time. Once fried, take them out in a paper-towel lined plate. 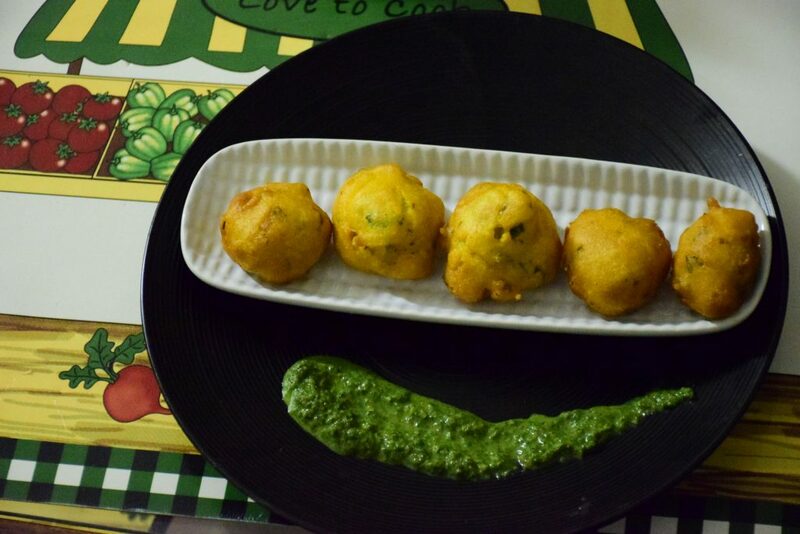 Serve with your favouritehome-made chutney or tomato ketchup. 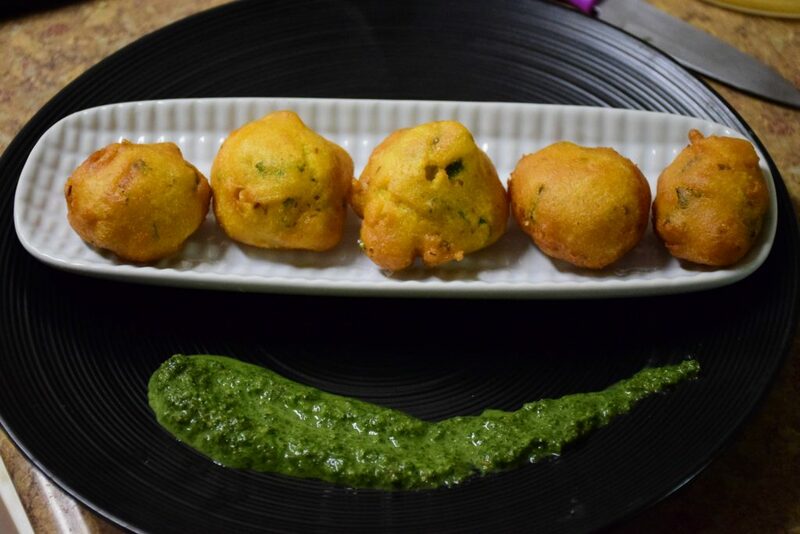 This entry was posted in Appetizers, Food, Recipes and tagged bihar, chana dal, chawal, covering, crunchy, Dhuska, East Indian, fermented, fluffy, Fried, groundnut oil, healthy, Indian, jalidar, Jharkhand, kurkure, less oil soaked, pakoda, pakode, rice, soft, soft inside, split chickpeas, spongy, urad dal, whole gram dal.